The specifications of your electronic and electrical connectors are very precise. Even the tiniest discrepancy in size, weight, or material used can make your product less efficient and unmarketable. When you are designing and producing your electronics and electrical connectors, make sure you work with a company that specializes in electronic plastic injection molding. 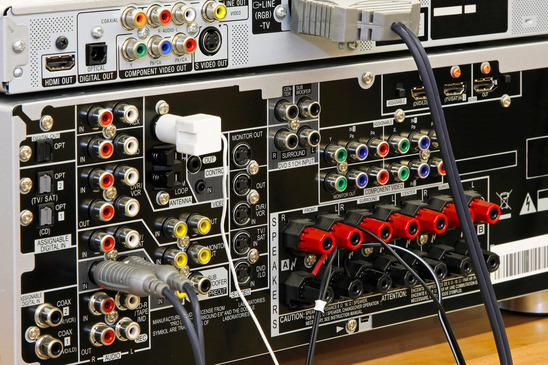 Superior Plastics has the expertise and equipment that you need to produce quality electronics and electrical connectors. We are a plastic injection molding company you can trust as your electronic connector supplier. The high-performance plastic injection molding machines we use at Superior Plastics give you the most versatile options for your electronics and electrical connectors. Our connector plastic injection molding makes it possible to make products specific to you, our client. The great advantage this has is that it gives you more options for your design. You can create your own plastic electronic and electrical connectors that fit right where you need them. Having the ability to specify the design of your electronics and connectors by using electronic plastic injection molding is also economical. You can design a part that has the exact specifications you need for your product. Why pay for several generic pieces, if one custom piece that has the same function will do? Simplify your product and save money on production. With injection molding from the manufacturer, you get exactly what you need. At Superior Plastics, we have worked with many different businesses in several industries to supply their electronics and electrical connectors. We are capable of handling plugs and plug-ins for office equipment, medical equipment, robotics, and heavy machinery. We have worked with clients in the military, telecommunications, and automotive industries. Connectors and electronics need to be very precise. Our experience in producing electronics and connectors is a great benefit to you. We know what it takes to get a quality product at a reasonable price. We can help you with the material, design, and specifications you need. Whether you are working on a prototype or looking to mass produce, Superior Plastics can meet your needs. As with all of our services, the personal touch we give at Superior Plastics is second to none. If you have more questions about our services in electronic and electrical connector plastic injection molding, contact us at 817-882-9595. We would love to talk with you about your electronic connector plastic injection Molding needs today.